Everyone wants to know -- How much does a new heating or cooling system cost. Unfortunately there isn't a short answer. The price varies depending on numerous factors including, but not limited to the size of the system needed for your home, the type of system selected and the scope of the work involved in completing the installation. They are building or renovating a new home. Take into consideration the following when deciding to replace your system. Energy upgrades: Upgrading your heating and cooling system to a higher efficiency system will reduce your energy costs. Depending on the upgrade, you can save between 25% and 50% on your utility bills. The rule of thumb “The higher the efficiency the greater the savings.” Over the last 5 years, manufacturers have produced much more efficient systems. If you are looking to conserve your energy output and save some money, installing a high-efficiency system is your best bet. All Gas Heating & Cooling Inc can install a 96% or higher efficient heating system which will outperform any system installed 5 or more years ago. The cost of repairs versus the cost of replacing: Often people wait until their heating, cooling or hot water system breaks down before they even consider replacing it. All machines and equipment have a life expectancy. When a system that is near its life expectancy breaks, replacing it may be the best action and here’s why: once the system breaks down specially an order unit parts become difficult to find or can be very expensive. Once one component breaks in an older system, it is likely that other components will begin to show their age and may also break in the near future. As a system ages its efficiency tends to decline which results in higher utility costs. The cost of replacing an older heating or cooling system will be more expensive they perhaps repairing a system that is 15 years or older but the bottom line do you want to throw good money after bad in a system that after the repairs are made may not last through the season? With every system there comes a time when replacing it cost less than repairing it. The trick’s knowing when that time is. The following should help you determine when it is best to replace your heating or cooling system. The Bigger Picture: If you have an older heating or cooling system (10 to 25 years old), you could save 25% to 50% on your heating and cooling costs. Replacing your heating or air conditioner can pay for itself in time. Upgrading to a higher efficiency unit will yield higher savings, but replacing your 80% efficient furnace with a new 80% furnace can also cut utility costs. The reason is that the efficiency rating is determined when the system is new. Time and usage can decrease the efficiency over time. Yearly maintenance services can help preserve the efficiency of your unit, but over a long period time most efficiency ratings decline. Other factors: A programmable thermostat helps make it easy for you to save by offering four pre-programmed settings to regulate your home's temperature in both summer and winter - when you are home, asleep, or away. The pre-programmed settings that come with programmable thermostats are intended to deliver savings without sacrificing comfort. Depending on your family's schedule, you can see significant savings by sticking with those settings or adjust them as appropriate for your family. The key is to establish a program that automatically reduces heating and cooling in your home when you don't need as much. Carbon monoxide alarms are valuable lifesaving devices that, when used and maintained properly, are effective at detecting carbon monoxide in the home before it reaches lethal levels. Kidde recommends that you replace your carbon monoxide alarm every 5 years from the date of manufacture in order to upgrade to more advanced carbon monoxide sensing technologies and new innovative safety features. All UL-listed carbon monoxide alarms are required to publish the date of manufacture on the label accompanying the product (usually on the back of the alarm). Kidde also recommends testing carbon monoxide alarms monthly to ensure they are in proper working order and that batteries are still fresh. It is also important to have home appliances checked annually by a qualified technician. Carbon monoxide alarms are designed to activate in accordance with UL Standard 2034. Individuals with medical problems or those believing they may be susceptible to lower carbon monoxide levels may consider purchasing a warning device, which alarms at lower levels of carbon monoxide than those specified by UL Standard 2034. According to the Journal of the American Medical Association, carbon monoxide (CO) is the leading cause of accidental poisoning deaths in America. As we mark the beginning of another heating season, during which we spend 90% of our time indoors, All Gas Heating & Cooling, Inc. reminds customers of the importance of taking preventive measures against carbon monoxide (CO) accumulations in the home. CO is an odorless, colorless, tasteless, and non-irritating poisonous gas resulting from the incomplete combustion of organic materials such as gasoline, kerosene, natural gas, propane, coal, wood, charcoal, diesel fuel, heating oil and almost any other combustible material, such as tobacco and paper. Any fuel-burning appliance, vehicle, tool, or other device has the potential to produce dangerous levels of CO.
How does exposure to CO affect us? During normal fuel combustion, a harmless gas known as carbon dioxide is emitted; if there is a lack of oxygen to ensure complete combustion of the fuel, the poisonous gas CO is emitted instead. Exposure to CO reduces the blood's ability to absorb oxygen. Low levels of CO poisoning result in symptoms often mistaken for the common flu and cold - shortness of breath, nausea, and headaches. With higher levels of poisoning, the symptoms become more severe - dizziness, mental confusion, severe headaches and fainting; very high levels of exposure may cause unconsciousness and even death. What are the most common causes of CO accumulations? The most common causes of CO accumulations in homes include a blocked or poorly ventilated fireplace chimney or furnace flue, faulty or damaged heating equipment, and automobiles, lawnmowers and snow blowers running in unventilated garages. 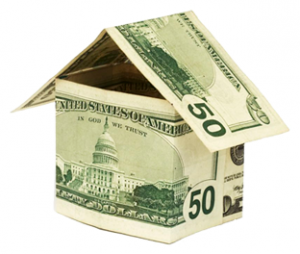 How can homeowners/renters protect against CO accumulations? When properly maintained your natural gas furnace and water heater do not emit CO. As a preventive measure, a qualified heating technician should inspect all appliances and heating equipment regularly. Chimneys should also be inspected annually, since debris may hinder proper ventilation. In addition, check natural gas flames periodically - clear-blue means it is properly adjusted; an orange or yellow flame may indicate a problem. Never use a range, oven, or clothes dryer for heating. Never use gas or charcoal grills indoors. The installation of a CO detector with an audible alarm in your home and garage is also recommended. According to the American Lung Association, "Carbon monoxide detectors should meet Underwriters Laboratories, Inc. standards; have a long-term warranty; and be easily self-tested and reset to ensure proper functioning." For maximum effectiveness during sleeping hours, carbon monoxide detectors should be placed as close to sleeping areas as possible. Carbon monoxide detectors can be purchased through All Gas Heating &Cooling, Inc.
What should I do if I suspect CO exposure? If you suspect CO exposure, it is important not to panic. If you suffer from chronic flu-like symptoms, see your doctor and ask if it could be a low-level CO poisoning. If you have a CO detector and it alarms, open windows; ventilate your home with fresh air; have your heating system checked by a professional. If your alarm sounds and you are feeling drowsy, nausea or dizziness, leave the house and call 911 from your neighbor's home - you may need medical attention for CO poisoning. Any new or existing customer of All Gas Heating & Cooling, Inc., who wishes to have his or her equipment inspected, may call All Gas Heating & & Cooling, Inc. at 1-888-813-9995. At your request, All Gas Heating & Cooling, Inc. will send a trained technician to inspect your equipment on a time and material basis. According to the U.S. Environmental Protection Agency, the average U.S. family spends over $2,000 a year on home energy, with nearly half of that going to heat and cool the home. We can help put some of that money back into your pocket! Programmable thermostats lets you control the temperature when you are away, sleep or out in the yard. Just set it and forget it! Let the programmable work for you! Check your systems air filter every three months. If the filter looks dirty change it! A dirty filter will slow air flow and make your system work harder wasting energy. Have your system check annually. This will ensure its running at optimum efficiency and comfort. Most manufactures require annual maintenance on new systems as part of their warranty. Seal leaking ducts. As much as a third of an air conditioning system’s airflow could be leaking through the ducts, causing a loss of comfort and cooling capacity. The impact is most severe in ducts installed in attics where temperatures can exceed 140 degrees in the summer. You can save over $147.00 annually over conventional 40 gallon hot water tanks and 1323 lbs of CO2 and 23 trees! All without having to wait for more hot water; giving you more time to do the things you love. Kick temperatures up a notch. If you set your thermostat a little higher during summer months, you'll reduce your cooling costs 3-4% for each degree of adjustment. Changing the temperature from 74 degrees to 77 degrees could lower your energy bill by more than 10%. A whole house fan is a simple and inexpensive method of cooling a house, particularly during times when the humidity levels are not too high. New air conditioners must have a minimum SEER rating of 16. Be aware of how the SEER rating can affect your energy use. Keep out sun and heat. Use shades, blinds or curtains, especially in the afternoon in west-facing rooms. Keep exterior doors and windows closed when running your air conditioner during the day; at night, turn off the air conditioner and open the windows to draw in cooler air when humidity is low. Minimize heat from other sources. Turn off lamps, TVs, & other heat-producing items when not in use and move them away from the thermostat. Run dishwashers and other large appliances in the early morning or late evening when electricity use is lower and their heat has less effect on cooling. Maintain your air conditioner. Clean or replace your filters at least once a month or as needed during heaviest use. Keep leaves and other debris away from the exterior condenser. Keep condenser coils clean. Consider fans. Use ceiling or portable fans to keep air moving and cut back on cooling. Run them only when you're in the room; otherwise, you're wasting energy. Shade. Did you know that shading your condenser with plants, shrubbery or placing your condenser on the northern side of your home can save you as much as 10% on your cooling cost?